Last week, I met and talked to with my friend what is she was planning? I know what I want and I also know what I’m doing, she is not planning anything till Christmas, after she don’t care what is it happening (?). I think that Christmas is more meaningful in 6 weeks just “waiting”. Yes, I know and understanding if you’re don’t like goals setting (if you do not like it choose another word) and do it your plan! It is important to set goals / your plans achievable. We are usually planned our major holidays, we are think of everything and everyone (family members, friends) and of course we are completely forgetting about ourselves. I know Christmas and New Year period is not about ourselves, of course we all know that’s time there is no control what and how much we eat, drink because it is Christmas. 6 weeks should be enough for a lot of things, you designed what gift to buy, what to cook, where to spend Christmas and what clothes we wear – especially we women have often a problem, since we ourselves are more critical than others. The dress shopping is not my favorite, because if you see something you like in the store, and then not be able to fit-on after love, I feel good in it. If you like you can not be sure that my partner is like and if my partner likes, not sure that I feel good in it, so a lot of variation out there that why they do not want new clothes taken rather stick to the “old one” of course my looking a little differently, and time to take action. The dependence on the Christmas, every year on the same date it is 25; 26; December 🙂 In the next 6 weeks should be enough for many things – more energy the feast, we also plan how you are, wish list implementations = purchase gifts, decoration. In fact we can think of ourselves, how can we reach and meet our goals, our dreams, we can improve looking is by taking responsibility for ourselves, more and more consciously paying attention to what and when you eat can improve the self-esteem and go on the path that will help you to create and maintain our ideal weight, perfect shape our simple and secure way. I know around Christmas did not really pay attention to what and how much you eat as a family and friends not us doing in the first place, but if you already start to implement it is much more likely to reduce the “bad sinner feeling” survive the holidays. Whatever starting ourselves in paying attention to what you want: =? : More power, energy? Do you want lose or gaining your body weight? Shape Faster, fitter body you desire? Which I’m talking to one thing change at a time which I hope you already done your everyday breakfst – healthy breakfast. Remember to take sufficient fluid intake = drinking enough water. Water is as important to a healthy lifestyle mainte as a well-chosen diet and regular exercise. Always drink a sufficient amount of water, the water helps to digest the meal. Therefore it is necessary at least 2 liters of fluid every day – to this a day coffee, tea and soup are included. If you do not take responsbility about yourself, who will take care of you? – The bad news is that when others had taken notice you need a help it is will be more difficult to asses your appropriate. By inserting some more excersice also needed, because the movement of the burn off the calories, and charged with energy. 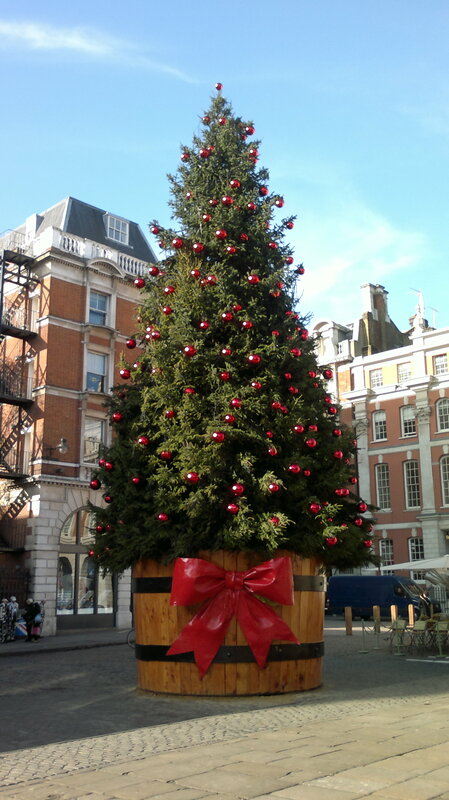 This entry was posted in England and tagged Breakfast, Calorie, Christmas tree, Covent Garden, eating habits, food, Health, Healthy Living, London, water, weight management by Susanna. Bookmark the permalink.